Why Glory to India and PM Modi Makes 'Them' Angry? Why Glory to India and PM Modi Makes ‘Them’ Angry? Many will not disagree that the PM Modi is fairly unpopular among a certain popular elite within the country. However, he has earned an immeasurable number of admirers outside the country. The fact why he is an eyesore for certain groups of people and celebrities while they are bowled over and ever supportive of specific dull-witted and immature leaders is something very weird and contrasting. This phenomenon defines the long-held assumption that “education” makes one rational and free from the psychological shortcoming. However, PM Modi is least bothered what his over smart detractors think and do against him. Mamata Banerjee, Rahul Gandhi, and majority of media journalists vehemently attack India PM. Yes, PM Modi hardly wishes evil upon anyone. He has multiple reasons to stay buoyed and cheery. The flood of praises coming from outside the country has always swelled PM Modi’s chest. Therefore, even in the foreign soil he goes, without a hitch, shouting at full throttle —‘Bharat Mata Ki Jai’. Truly, it’s totally wrong to ignore many achievements associated with PM Modi. 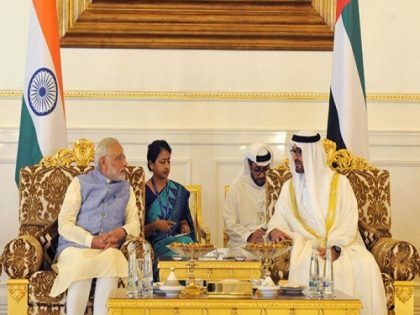 Yes, he has been chosen to be honoured with the highest civilian award – Order of Zayed by the UAE government. 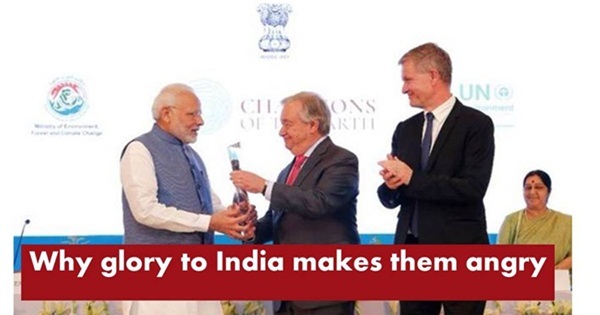 Not just that, the countries like Saudi Arabia, Afghanistan and Palestine also have come forward to honour the Indian PM with their respective highest awards. A few months back, the UN as well has crowned him with the Champions of the Earth, the highest environmental honour. His unfaltering dedication and devotion to execute formulated policies and plans have yielded positive results, though some section of powerful people try to undermine and demean them all. 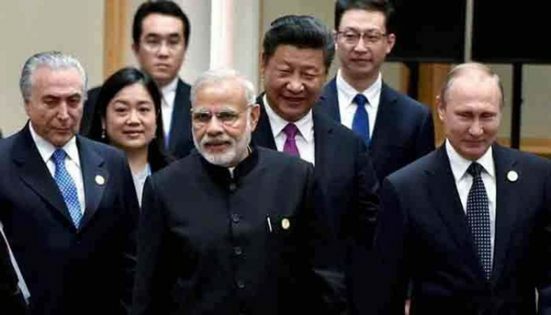 What is most attractive in PM Modi is that he is smartly clever to strike the personal kinship with any individual foreign leaders and diplomats. Yes, due to his personal touch and warmth, the Modi government has been able to pull off many thorny external affairs and issues too quickly. Of course, this is doubtlessly praiseworthy. Yes, good truths should be not suppressed and falsehood should not be exaggerated. Nonetheless, a very strange vibe is noticed in the country. It is nothing but an unenthusiastic silence maintained by the popular media when Modi receives some accolades and appreciation. Many choose not to mention it at all, not even as news-item. This all makes everything all the more conspicuous. Well, this, in fact, only prompts the swarm of netizens to be more active in social media, their battlefields. They are seen furiously vocal. The ranting, raving, and name-calling against the backdrop of the importance given to a certain class of leaders make the situation less pleasant and logical. Not just that people in the social media are quick to throw up contrasting examples citing how media goes gaga over a “less intelligent lot” while keeping deafening silence over things that bring glory and fame to the nation. This is doubtlessly a bizarre development. This way the detractors or opponents always run the risk of losing their own integrity. A business done by sacrificing integrity ends up in disaster. Opposition to ideas and political parties is always welcome, which is democratic, but the biased attitude against the “truth” and positivity can only dilute the sanctity of the enterprise and professionalism. As concerned citizens, should we not first want that the light of glory and joy dispel the gloom of darkness and despair in the country? Let’s not waste our precious life by struggling to call the untruth as truth and vice versa. This exercise only contributes to polluting our mindset and the country becomes less peaceful and more vulnerable. A Shillong-based writer and researcher Salil Gewali is author of ‘Great minds on India’, translated into Eleven languages and prefaced by a world-acclaimed NASA Chief scientist – Dr. Kamlesh Lulla.